AIE is a leading pipeline integrity management service provider that offers a full life cycle management of pipelines from appraisal through to decommissioning. AIE’s methodology for operational pipeline integrity management consists of proactive and reactive approaches to the management of pipeline assets. Our pipeline integrity consultants employ risk based techniques to prevent failures from occurring and assign mitigation actions to real time threats. Where defects are identified through in-service inspection, AIE also performs a range of pipeline integrity assessment techniques. As part of the pipeline integrity management system, AIE also offers a complete emergency preparedness system to help minimise the resulting consequences in case of a failure. 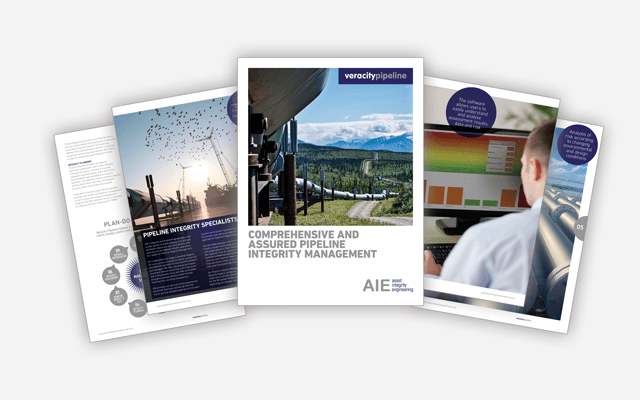 AIE’s pipeline integrity management software, Veracity Pipeline, provides operators with a user-friendly and systematic approach to pipeline integrity management whether onshore or offshore. It geographically presents the pipeline and the risks associated with it whilst securely managing key integrity data and assigning mitigation actions to real time risk values. Veracity Pipeline forms an integral part of the operators’ pipeline integrity management system and its structure and design is fully compliant to industry codes and best practice engineering standards. The software is a multiplatform product and web based, therefore easily accessible from anywhere at any time. Veracity Pipeline follows a ‘Plan– Do–Check–Act’ methodology which creates control and promotes continuous improvement.